Volunteer alongside local conservationists to protect the endangered West Indian manatee. Along the way, you’ll explore tropical rainforests, pristine beaches and a vibrant fun-loving culture. Totally legal travel to the island you’ve always wanted to visit. Build bridges of friendship and understanding by engaging directly with Cuban people. Meet artists, activists, students, and experts both in Havana and colonial towns in the middle of the island. Be part of history in the making. 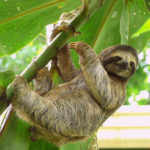 Costa Rica is consistently rated one of the happiest countries on the planet, which is why there are so many reasons to visit. A kaleidoscope of flora and fauna welcome you to a land where people live in harmony with nature. 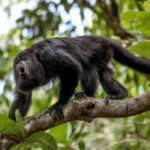 While Costa Rica is known for preserving huge tracts of forests and coastline, it’s also a model for social innovation. Having abolished its army in order to invest in education and universal healthcare, the country provides an example of how to balance social, environmental, and economic development. Come experience “pura vida,” the inspiring Costa Rican way of life. The infectious rhythms of life on this island will leave you wanting more. While this is the most visited destination in the Caribbean, much of its beauty — beyond the resorts — is often undiscovered. Come absorb the rest of this magnificent country, including its lush farmland, gorgeous peaks, and calming beaches. 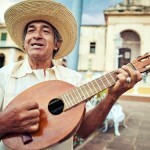 We’ll enjoy its cultural hallmarks such as merengue dance and bachata music, as well as its national sport: baseball. 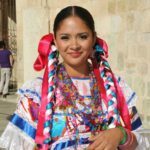 Guatemala is the heart of indigenous culture in Central America. Only here can living Maya culture be experienced in its full splendor; the Maya calendar and cosmology are as alive today as when they were first developed. Here you can witness not only how traditional culture has adapted to globalization, but also relive the history enshrined in its many archaeological sites. The “land of perpetual spring” has a rich history that stretches from pre-Colombian times to recent peace accords that have set this country on the road to reconciliation and harmony. 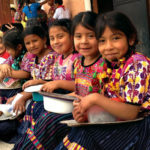 On this Women & Girls’ Empowerment trip, visit the Zapotec community where women run small businesses through micro-finance loans while their husbands are away. Participate in a dyeing workshop, chocolate making and cooking class, weaving and pottery classes, and more. Peru is a diverse land: miles of untouched coasts, snow-capped Andean peaks, and vast Amazon jungle. This geographic variety has led to the evolution of one of the most complex and delicious cuisines in the world. But Peru is much more than spectacular meals, it’s home to welcoming people eager to share their culture and history with you. Discover the Andes Mountains and Machu Picchu, the original capital of the Inca Empire. 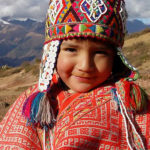 Today, the culture of the Quechua people lives on as an echo of their ancestors’ civilization. Experience first-hand Peru’s culture and traditions, which have survived for centuries. 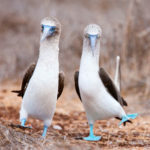 Arguably the greatest destination on the planet for nature travelers is the Galapagos archipelago. With rare and friendly wildlife found at every turn, these islands unveil the beauty and intricacies of the natural world in a truly unique manner. Located 600 miles off the coast of Ecuador, this island chain is the second largest marine reserve in the world, and a UNESCO World Heritage Site. While there are small towns on a couple of the islands, the strict protection of flora and fauna allows us to experience an ecosystem free of human degradation. 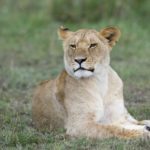 Kenya is the original wildlife safari destination and today remains synonymous with big game and the vast plains of the Masai Mara. Experience the world-renowned wildlife of the Masai Mara, lend a hand on innovative conservation projects protecting lions, rhinos & cheetah and come face-to-face with the world’s last remaining northern white rhinos. 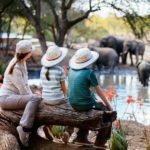 Get behind the scenes of the conservation movement in South Africa. Help protect leopards and other endangered species. You’ll get up close and personal with some of Africa’s most spectacular wildlife. Visit breathtaking natural wonders such as the Blyde Canyon and Kruger National Park. Welcome to the heart and soul of East Africa. 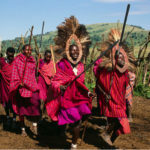 While best known for its natural wonders such as the iconic Mount Kilimanjaro (the tallest stand-alone mountain in the world) and the best wildlife safari parks (such as the Serengeti and Ngorongoro Crater), the country’s true cultural heritage resides in its people. 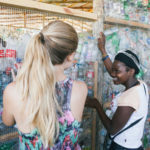 Live and volunteer alongside locals, learning about their diversity of experiences. Whether it’s the nomadic Masai or the neighborly Chagga, the friendly, peaceful mix of religions and tribes makes Tanzania an ideal place to celebrate our shared humanity. Go behind-the-scenes and aid in dolphin monitoring with the Blue World Institute of Marine Research and Conservation, an independent nonprofit organization specializing in dolphin research and conservation. 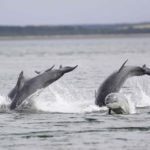 In addition to learning more about the species, get a taste of life as a marine biologist as you set out to sea for a dolphin monitoring project on days one and three of your adventure. Along the way, collect data on environmental conditions, locations and sightings, numbers of encountered dolphins, photographs of dorsal fins for photo-ID analysis, and data about dolphin behavior. Spend the rest of your trip exploring the islands of this gorgeous country by land and by sea. 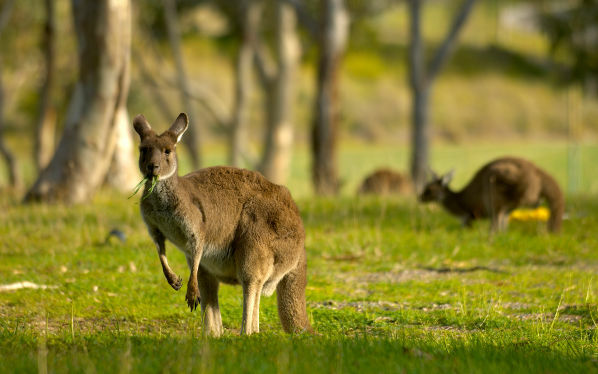 Known by many as the “Land Down Under”, Australia is a continent as unique as the wildlife that inhabit it. From tropical inland rainforests to endless white sand beaches, the contrasts you’ll find in Australia are astounding. 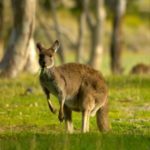 Lend a hand at a wildlife conservation park caring for Australia’s most iconic animals such as koalas, kangaroos and wallabies. You’ll also explore the natural wonders and Aboriginal culture of this fascinating country. With a population of 1.3 billion, China is the second largest economy and been the largest contributor to world growth since 2008. However, China still remains a developing country. You will meet locals from the thriving city of Beijing as well as enjoy a meal with a family in more rural neighborhoods. Experience China from two different points of view while visiting UNESCO World Heritage sites – The Great Wall of China and Summer Palace – in between. 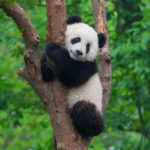 Support panda conservation for two full days! More than a country, India is a subcontinent unto itself. 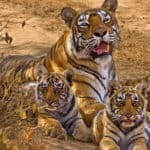 With over a billion people hurtling through rapid globalization — guided by a rich spirituality and cultural heritage — India is one of the most unique places on earth. The kaleidoscope of cultures is visually stunning, emotionally moving, and fantastically delicious; come and let the country gently overwhelm your senses. Whether you’re inspired by the architectural marvels or captivated by its deep spirituality, India is a country best understood through its people. The minute you step off the plane, Tokyo will immerse you in a completely new and vibrant world. With over 9 million people living in the city alone, you’ll experience the unforgettable chaos of Shibuya Crossing by day and the breathtaking views of the skyline by night. 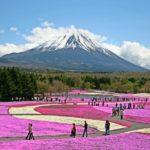 While Tokyo may be the largest metropolitan city in the world, the rest of the country practices a serine and tranquil lifestyle. Discover first-hand the importance of the fishing industry to Japanese lifestyle and learn more about the Shinto and Buddhist roots through guided meditation. Thailand’s unique past has created a present that can only be experienced in person. Since Europeans never colonized this country, it still retains its diverse history of Buddhist traditions and philosophies — including that of sanuk. Loosely translated as “fun,” sanuk is more about striving to achieve satisfaction and pleasure from whatever you do — which you’ll experience in Thai life amidst the rapid embrace of globalization. Come experience life in the “Land of Smiles,” and find your palate delighted, your senses heightened, and your spirit recharged.